When your furnace is delivering heat on demand, your home is comfortable, and your utility bills are relatively stable, you probably won’t give your HVAC a second thought. Unfortunately, all mechanical equipment will deteriorate and begin to suffer failures in time, and your HVAC components are no different. After many years of exemplary performance and efficient operation, your furnace is bound to need repair work, and eventually, replacement. How can you tell when your furnace is in trouble? Here are a few common signs to watch for. Is your furnace running, but no heat is coming out of the vents? 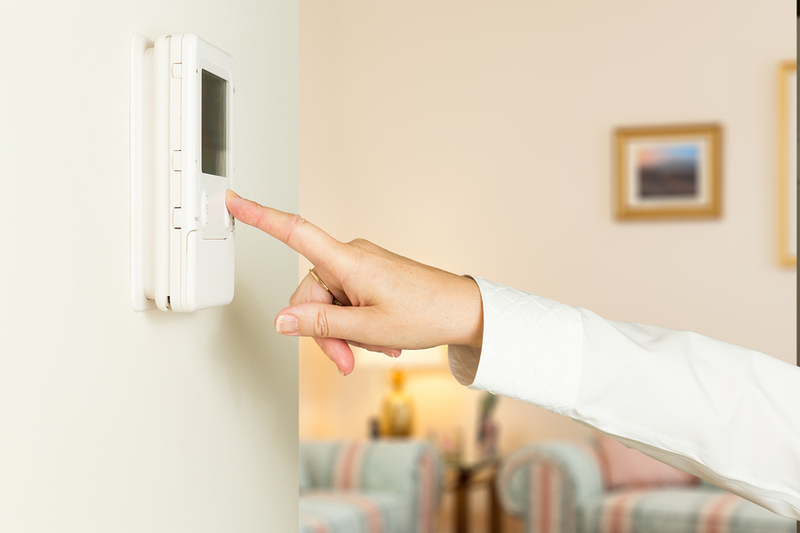 Are you having trouble maintaining a comfortable interior temperature? This is a sure sign that your furnace is experiencing some kind of failure. The problem could range from a filthy filter that impedes airflow, to a pilot that won’t stay lit, to a more serious furnace malfunction. While many homeowners can address simple issues on their own (such as replacing an air filter), you may want to call on one of our professional Santa Clarita furnace repair technicians for system diagnosis, especially if you have an older furnace and/or you can’t afford to go without heat. When you first fire up the furnace after a summer spent sitting dormant, you’re sure to get some dust blowing out of the ducts. However, if you notice a foul odor that persists, you should probably turn off the heater and call a technician to visit your home. If the odor you smell is gas, shut down the system, exit the home immediately, and call your local fire department. Any type of machinery is going to make some amount of noise when it’s running, but furnaces tend to make predictable and mild sounds when they kick on and run. These noises don’t usually include loud knocking, banging, popping, whining, or squealing. Such sounds could indicate serious issues and you should contact your HVAC service provider immediately to inspect. You may need repairs to address damages and prevent further harm to your system. Generally speaking, you can get a good idea of what your annual bills are going to average out to after being in a home for a year or more. So, when your heating bill suddenly shoots through the roof, it’s a good bet that your furnace is experiencing some type of issue. Your HVAC technician can examine components and run diagnostic tests to determine the cause of skyrocketing heating costs. Some states require homeowners to install carbon monoxide detectors (since this gas is colorless, odorless, and deadly). It’s a good idea to have them in place, whether they’re required or not, if you have any gas appliances in your home, including a furnace. Should an alarm situated near your furnace go off, alerting you of unsafe levels, it’s best to turn off any gas appliances, leave the home, and call a plumber and/or your HVAC service provider immediately.